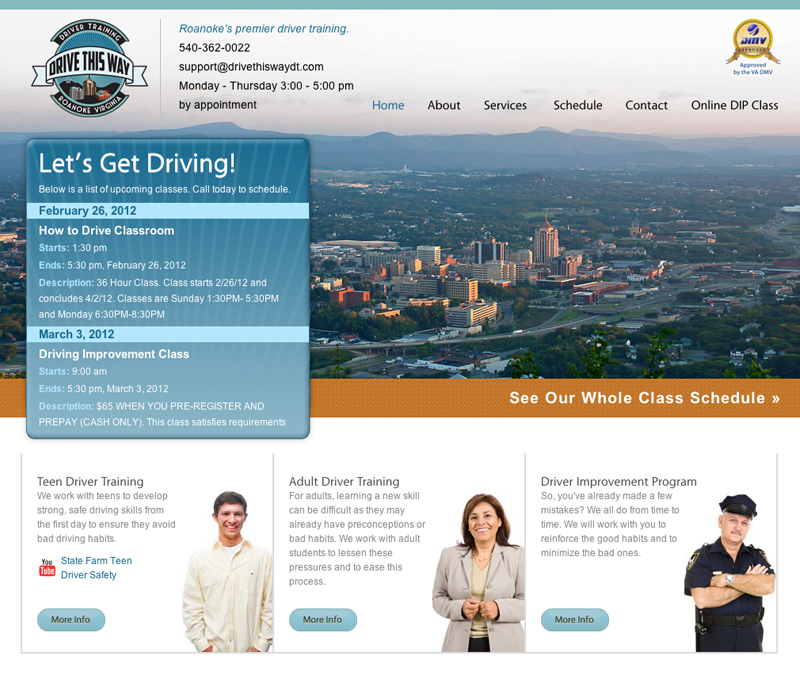 Drive This Way just recently went into business in Roanoke, VA and was in need of a logo and website that will show their class schedule and set them apart from other driving schools in the area. It was important for them to show off Roanoke and use the areas landmarks wherever possible. We took custom photography of the area to ensure no one else had the same photos and used the area’s landmarks in the logo. We integrated Google Calendar so they could update their classes from their email or smart phone, which automatically updates the site. We also did a lot of SEO work with Google to get the website up on the top lists with their competitors quickly.